LAUSD, the second-largest public school district in the United States, covers 710 square miles. Students and faculty in the Los Angeles Unified School District (LAUSD) can report graffiti, broken benches, or other repair issues using a smartphone application that is integrated with the district's GIS. LAUSD is responsible for educating more than 675,000 K–12 students annually and is the second-largest public school district in the United States. The district manages facilities that include 1,065 K–12 schools; more than 200 education centers, adult schools, and occupational skill and learning centers; and dozens of warehouses and storage yards within the district's 710 square miles. The district has used Esri's GIS software since 1990 for administrative tasks including student enrollment forecasting and analysis, school boundary maintenance, student safety, disaster planning, and facilities operations and management. As additional applications were added, the GIS gradually evolved into an enterprise system. "GIS has played a big role on the administrative side of our operations," said Danny Lu, business analyst for LAUSD. "As we continued to expand our use of the technology, we realized that there were some commercial applications that could be easily integrated with ArcGIS and would fit into our existing workflow." 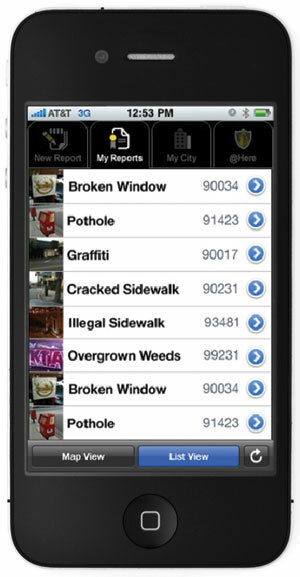 A smartphone app integrated with the Los Angeles Unified School District GIS lets students and faculty members report graffiti or other repair issues. Upkeep of the numerous LAUSD facilities requires an army of administrative, maintenance, and technical staff members who are continually evaluating and processing the many service requests submitted each day. The district implemented a data collection system that allows campus staff to easily report nonemergency issues. This relieves the operations department from some inspection and reporting responsibilities and lets it concentrate on the repair and maintenance of the school district's assets. 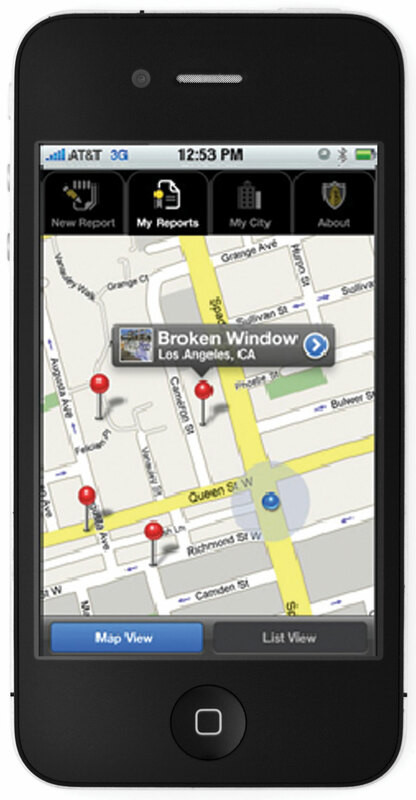 In 2010, the district contracted with Esri partner CitySourced to implement LAUSD Service Calls, a smartphone application permitting LAUSD students and faculty to report issues related to the repair and maintenance of school facilities, such as graffiti, broken benches, or damaged sprinkler systems. "We wanted to take advantage of today's technology and provide our community with an intuitive tool that allows them to easily document maintenance issues and send those reports directly to us so that we can resolve them," said Lu. "As an added benefit, by using the application, students and faculty members of LAUSD are provided with a sense of ownership while building community pride." CitySourced uses Esri's ArcGIS application programming interface (API) for smartphones in the LAUSD Service Calls application so that the school district can integrate the volunteered data from the incident reports with its authoritative ArcGIS database. This helps the school district keep the GIS database up-to-date for its IBM Maximo asset management system. Kurt Daradics, director of business development at CitySourced, said, "The LAUSD Service Calls implementation at LAUSD is an end-to-end solution. Incidents are recorded on the mobile devices and sent to the CitySourced servers hosted by Microsoft Azure. Our servers route the issues directly into LAUSD's IBM Maximo asset management system as service requests, where they are reviewed and subsequently resolved by the district's maintenance department." A user reporting an incident is prompted through a series of steps to specify the incident details and supply a photo. Daradics indicated that the LAUSD Service Calls application will eventually be able to automatically query the operational asset layers in the ArcGIS database so that the asset ID can be determined. The ID will then be attached to the asset specified in the incident report submitted by the LAUSD community member. This will allow all information related to the asset (maintenance history, age, and replacement costs) in the GIS database to be automatically retrieved so the school district can use its GIS to better manage and maintain its assets. The LAUSD Service Calls application can be downloaded for free to the user's smartphone. When reporting an incident, the user is prompted through a series of drop-down lists to specify the incident location, type, required maintenance, and description. This report and accompanying photograph is sent to LAUSD's asset management system, where it is reviewed by a moderator to determine the required course of action. If maintenance is required, a work order will be generated, prioritized, and routed to the appropriate department for action. According to Lu, the system also provides feedback to the person or persons reporting the complaint. When a work order is generated as a result of a service call, the asset management system automatically sends a response to the sender, indicating the incident report has been received and assigned. Students and faculty can use the CitySourced application to search for the calls they have placed. Under My Reports, they can view the status of an incident. This feedback loop demonstrates to the community that LAUSD is aware of and is working to resolve their concerns.